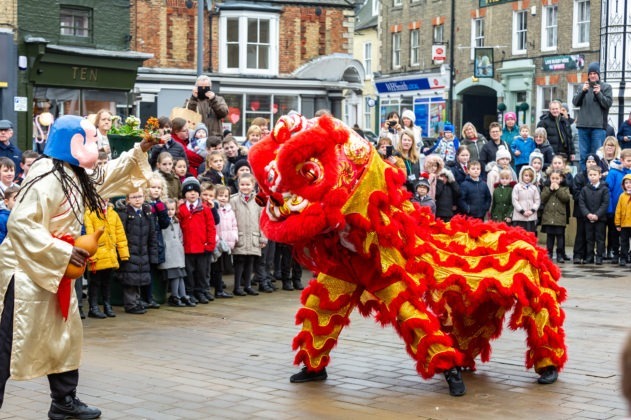 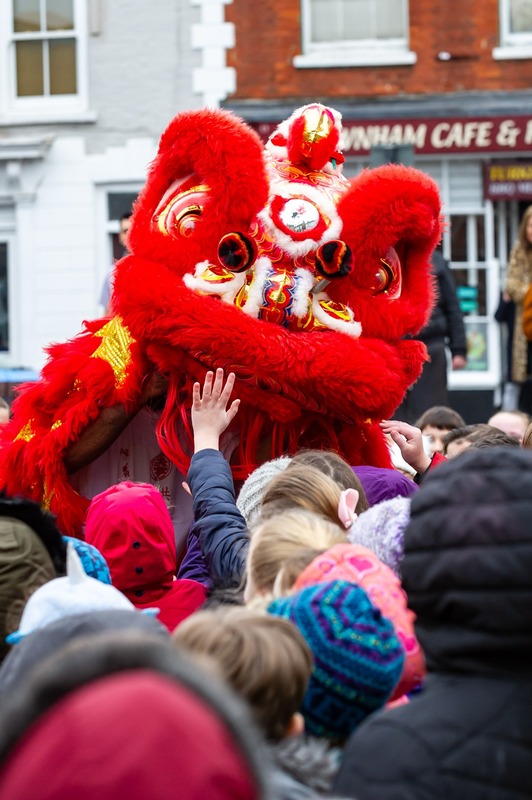 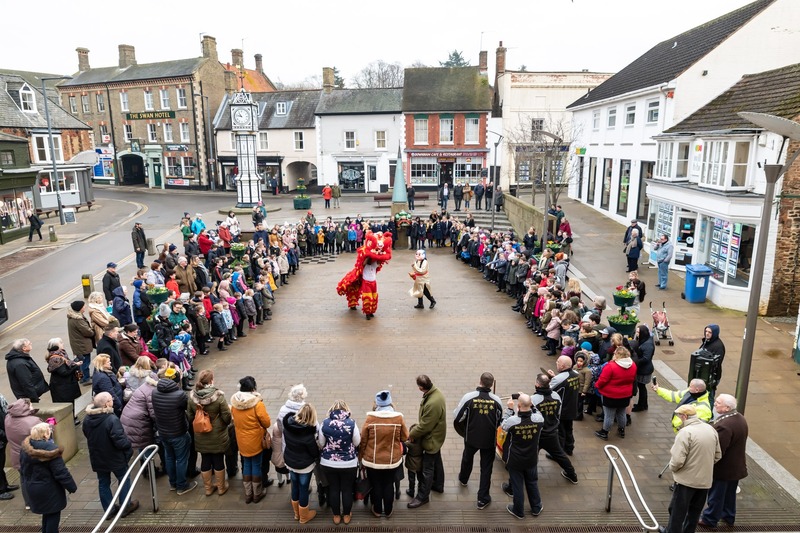 Downham Market has welcomed Chinese New Year with the town’s traditional lion dance. 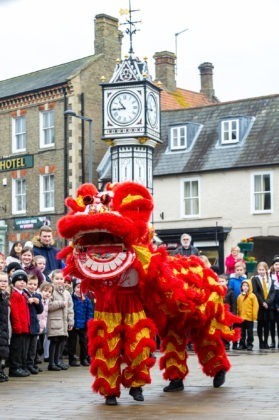 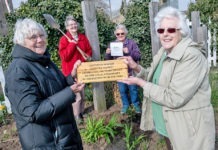 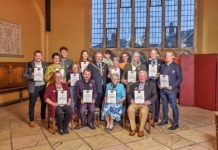 The town council has organised the event for several years and this year’s celebrations marked the Year of the Pig. 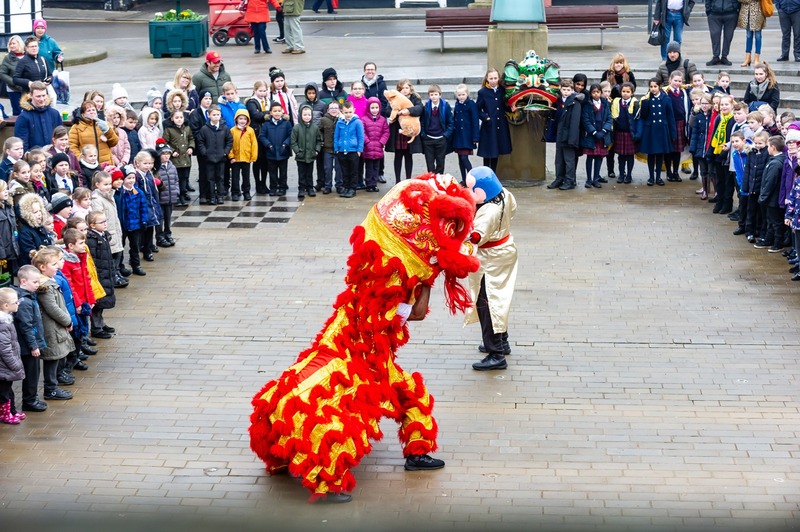 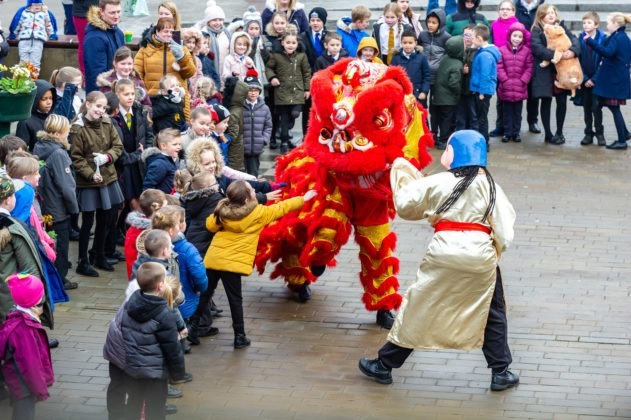 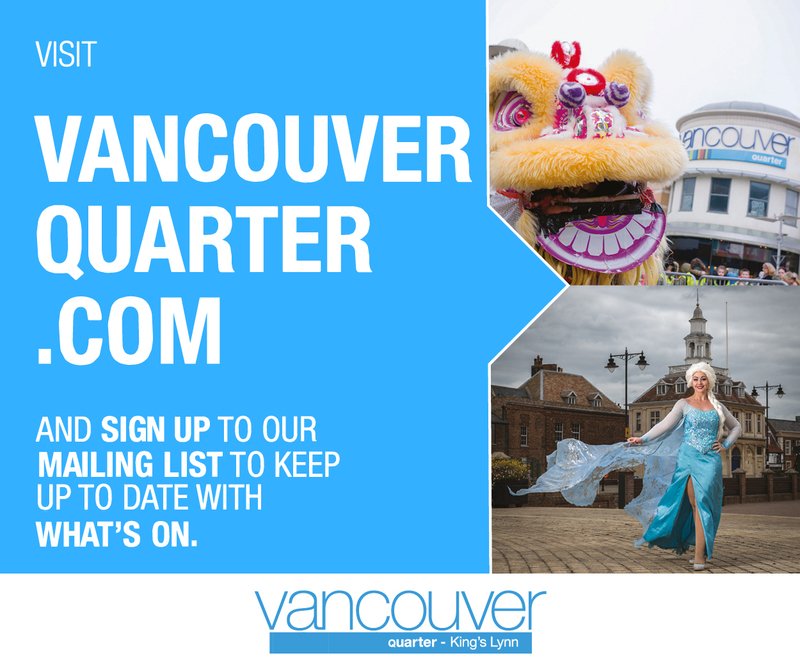 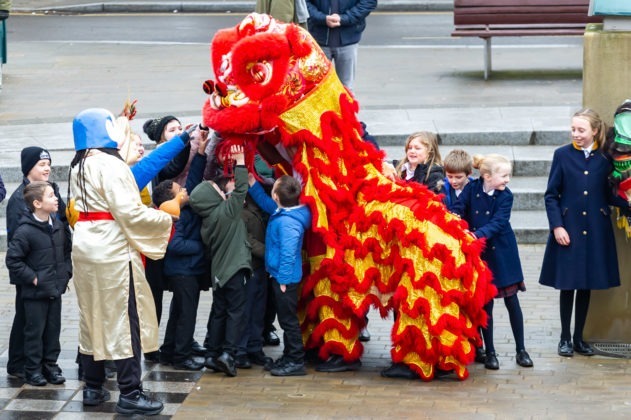 London-based lion dance group James Uglow travelled to the town on Tuesday to bring its colourful street dance and music to the main square. The event was well supported when around 250 youngsters from Nelson Academy and Downham Preparatory School watched the fun event which also attracted the attention of a number of shoppers. Pupils from the preparatory school also joined in some of the activity as they had taken their own celebration costume.